From creating a healthy breastfeeding diet to finally getting baby's nursery finished (before she arrives! 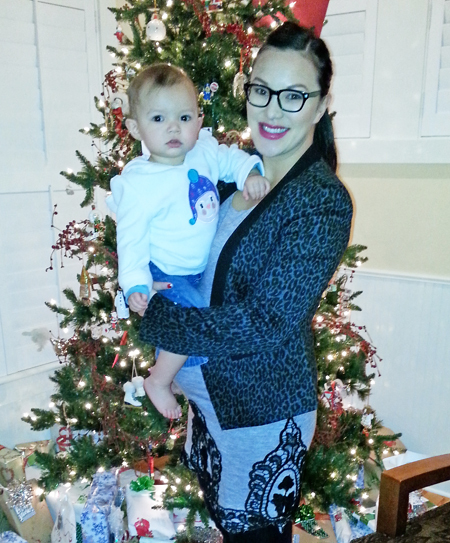 ), real expectant women share their (pregnant) New Year's resolutions. MathFour publisher Bon Crowder, mom to a 4-year-old girl, is expecting baby #2 at the end of December. She says, "I wasn't able to fully get back into running after my first daughter was born, so this time around I've resolved to run a race every quarter of next year. It's slow going to get back into it, but it's a great example for my kids and is wonderful for the brain!" She adds, "It's exciting to be giving birth right before the new year (or immediately afterwards — who knows!) because I have the opportunity to start fresh with a new resolution and drive." We're cheering you on, Bon! 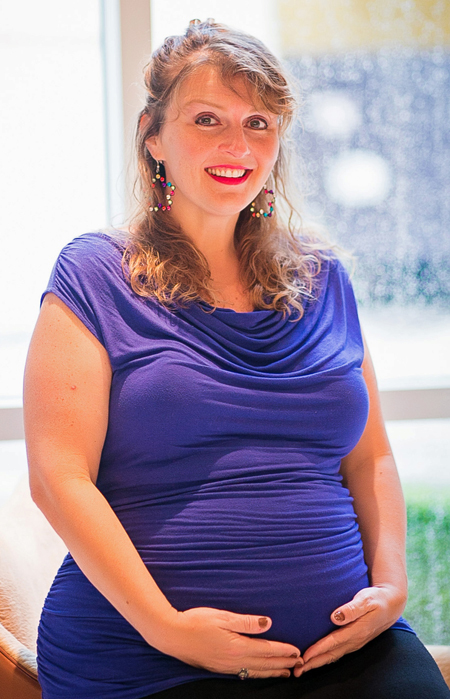 SweetMaterial's Felicia Zanguiabad — who is expecting her first child in the first part of 2014 — says, "Although I'd love to hit the gym with a voracious force, my New Year's resolution is to maintain a good breastfeeding diet. The great thing about my goal is not only will it benefit my newborn, but it will also aid in shedding some of the pregnancy weight and save money on formula. I'd like to breastfeed for a minimum of three months and a maximum of nine. It's a small sacrifice that will protect my child from so many illnesses and disease." We love this goal and encourage you to stick with it as long as you can, Felicia! By the time Gloria Miller — already mom to a 1-year-old — was seven months pregnant (when this article went to print), she had already gained more than 30 pounds. She says, "I don't even want to know how much more I'll gain in the last few months! After my first pregnancy, I was able to lose all the baby weight quite quickly — in five months. I'm worried that this time around, with two kids, it'll be harder. My resolution is to lose the weight in the same amount of time doing Crossfit. I was an avid crossfitter after baby #1 and it felt like the weight fell off. Fingers crossed I can do it again!!" You know you can! Jill Mayer, already mom to a 2-year-old girl, is expecting her second child in January. She says, "My New Year's resolution is to slow down and try to live in the present moment with my kids, as much as possible. It's so easy to get caught up in the day-to-day routine, work, etc. that this year (and hopefully all the rest of them as well), I want to take the time to just enjoy my children and soak up every minute. It goes by just way too fast." Every woman, whether a mom or not, can certainly benefit from Jill's "living in the moment" goals. Patricia's list is inspiring for all women, not just moms-to-be! We love a woman who says it like it is! Sarah Mann, mom to a 4-year-old son and an almost-2-year-old son, is expecting her third boy on Jan. 4. She says, "My resolution is to simply survive! As a third-time mom, my expectations are (hopefully) more in line with reality. I know it will be hard, but I also know it will get easier (right?). My only goal in 2014 is to make it through and try to have some fun doing it." With that attitude, Sarah, we think you'll be just fine!